LEAVING Belfast in the early-morning light, the journey west holds anticipation and yearning. That dreadful existential angst gradually slips away and two hours into the journey a metaphorical truth begins to dawn. The spiritual oasis is in sight. Home, the unique space, a place that always resides in the heart, the homeland – the land that remains unconquered. Every year, during the summer months, thousands of people travel west, largely from the counties of Antrim and Down, and every year the people of Donegal welcome their eastern visitors like family. They skirt Letterkenny, travelling south-west towards Baile na Finne. Some continue past the spectral sight of the lough that feeds the Finn river toward Ardara on the N56 and beyond through the Glengash Pass to the coast at Gleann Cholm Cille. Some turn north-west into the Rosses through An Dúchoraidh, An Clochán Liath and Ailt an Chorrain into the Gaeltacht of the West. 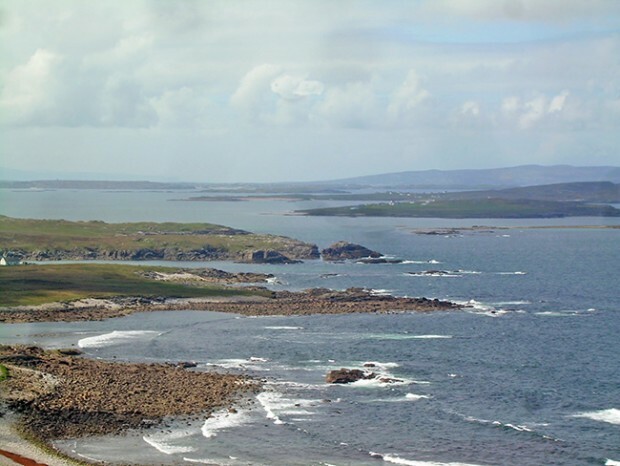 Others travel north-west into the wild expanse of Ghleann Bheatha, toward Gaoth Dobhair, Doirí Beaga, Bun na Leaca and Cnoc Fola. Some continue on to Na Crois Bhealaí and round into Gort an Choirce. 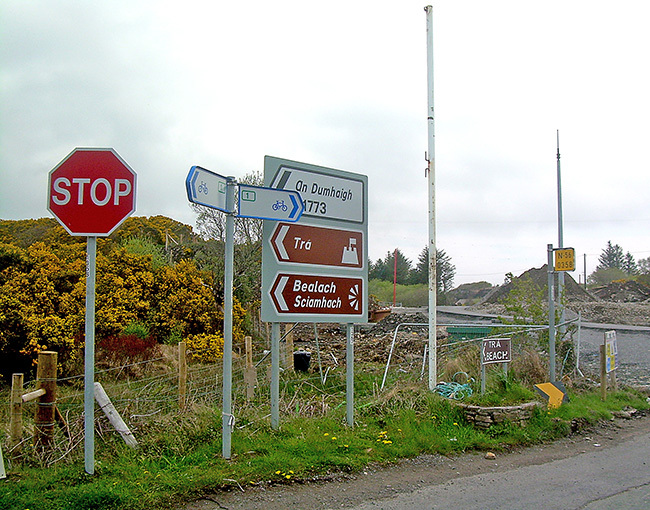 The Gaelic placenames and road signs offer no threat to the majority of these travellers. They know the routes by rote. And if they are lucky with the traffic their journey will bring them to their destinations of choice long before noon. The Gaeltachta of Donegal are havens. They are places where the regional dialects offer solace. Speaking as Gaeilge is more than a choice, it is an accepted mode of communication, an expression of absolute culture. “People from Belfast come here because it gives them a chance to improve their Gaelic,” explains the barman in Teac Jack's in Glaiseach, on the winding road below the Bloody Foreland – a place that characterises more than most the beauty of Donegal's mid-western coastline. And it is much more than that. For a few months each year, Donegal and its people provide the culture we thought we had won in 1916. It's a place where the native language is not declining, where it is thriving and evolving. 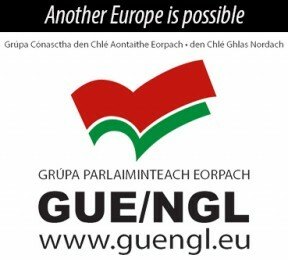 A place where Irish ways if not Irish laws are allowed to flourish. A place where the craic and the song and the story are quintessentially Irish. A place where the modern world is seen through Irish eyes. A place where the future of Ireland is mirrored in the eyes of those who were born in foreign lands and came home to claim their unique culture. It might be argued that it is the presence of the Northerners from the east that creates these impressions. Then, from the corner of the pub under a window that looks out at the wild Atlantic comes the sound of a language that is unfamiliar. Two travellers from the Basque Country. Later it is a group of French-speaking bikers. A Liverpudlian twang. A Dublin accent. So is it true? Donegal gets visitors from other countries and other Irish counties! The apparent colour of a blood-orange sunset, the effect that named Cnoc Fola, will always be a sight for the sore eyes of those who have to endure city life – just to exist. Those who do survive the rigours of nine-to-five Dublin life always take the first chance to return home. It is not as far as it used to be, yet apparently it is too far for most of the people who live in modern Ireland. Well maybe they will come to Malin Head now that Star Wars has visited. No one is holding their breath, though. Ask anyone why no one visits Donegal and they will tell you it is the infrastructure, the bad roads, yet Donegal County Council are doing what Counties Cork, Kerry, Clare, Galway, Mayo and Sligo are not doing – they are making their bit of the Wild Atlantic Way easier to travel on. 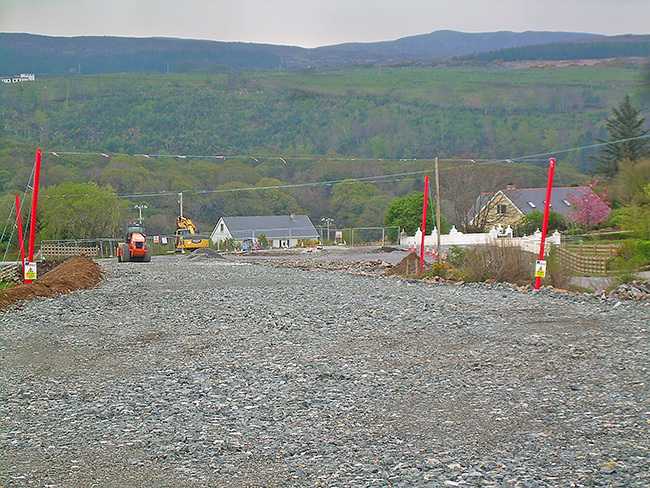 The new road at Lettermacaward even has a cycle track, a feature that is evident along the N56, the road that encircles the western and northern towns and villages of the county. 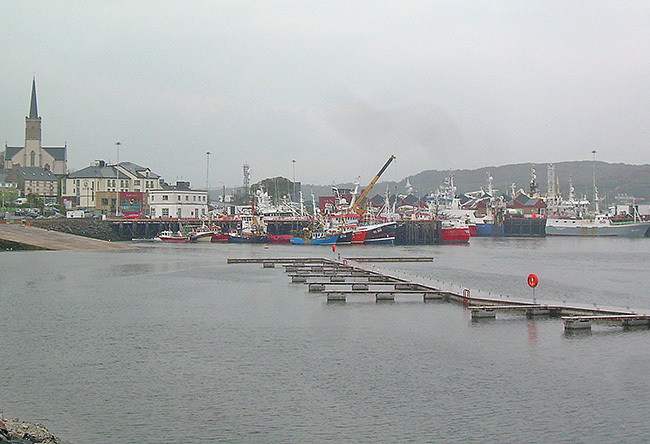 The attractions of Donegal are obvious to those who live there and those who visit frequently. The sights and the sounds contrast with the scenary and the solitude. The ragged coastline compares with the Amalfi coast, the Dalmatian coast and the Iberian coast. These coastlines have reinvented themselves as tourist destinations where traditional culture, food and handicrafts are obvious attractions. This is not happening in Donegal. Ardara does a fairly good trade with traditional handicrafts, especially when the tour buses arrive from Killybegs and those who know about Donegal's rich woollen tradition return for more. Like the scenery it is a chimera. Most of the year Donegal survives because of the rites of passage, and when these events happen the hotels are full. This recycling of the wealth of the county gives the impression, especially at weekends, that all is well with the world. “We exist on a skeleton staff during the week,” complains the hotel receptionist. Her hotel is not alone. When a tour bus pulls into a space opposite a pub on the N56, It should be party time. Instead it is peeing time. What Donegal needs is what every tourist destination needs – tourists who stay the night, eat dinner and are given the time to buy into the culture. Those who do are those who already know. The new map of tourist attractions has no appeal to them and those it should appeal to don't get a chance to pick it up. Too busy peeing. Yet there is no doubt that once a tourist, traveller or visitor, continental or Irish, arrives in Donegal for the first time and is unable to enjoy that first visit because of the brevity of their enforced stay, they want to return – again and again. There's just not enough coming from much of the rest of Ireland. 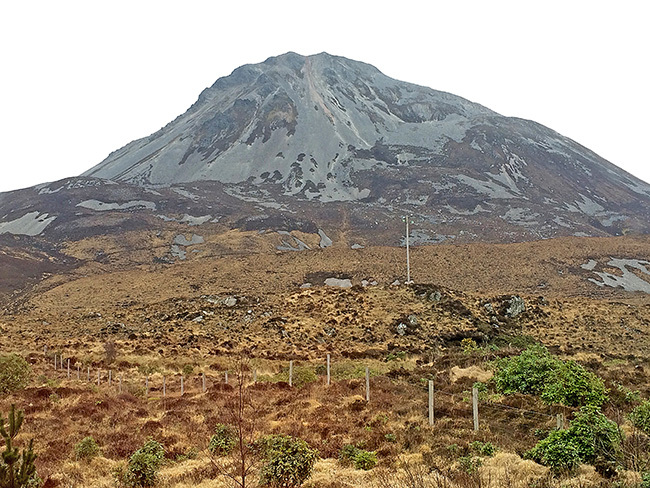 Donegal deserves more attention – more visits – from its own country's people across the island. For all of its generosity, innocence and warmth, what Donegal contains most is everything we wish for in post-partition Ireland. It remains the unconquered land.